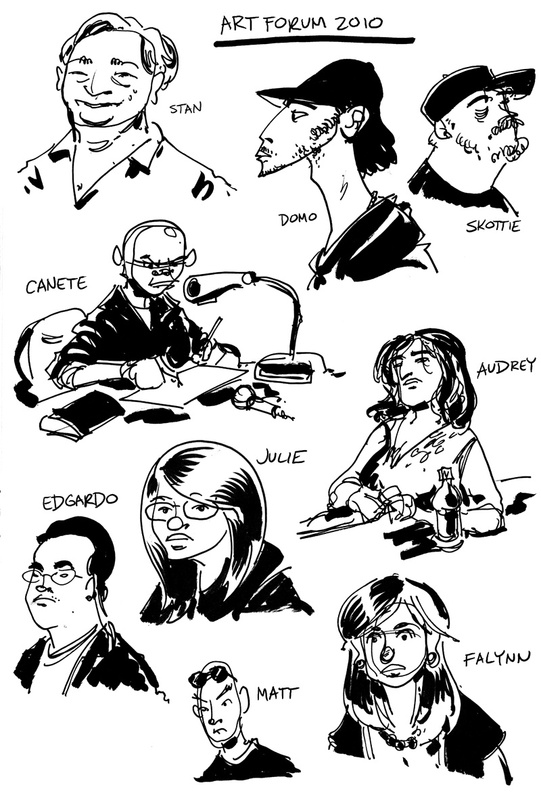 Here are some sketches I did during our annual art forum at SCAD-Atlanta. I think you did a wonderful job of capturing Stan's likeness, and Eric's essence! These are the only creators in your piece I've met in person, or else I would have more adjectivey compliments for you.